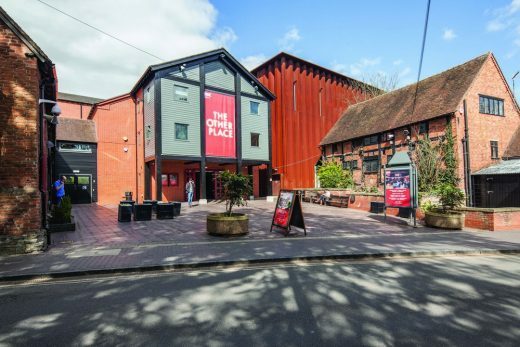 The Other Place (TOP) at the RSC in Stratford upon Avon began in the 1970s as a small new writing studio theatre in a tin shed. 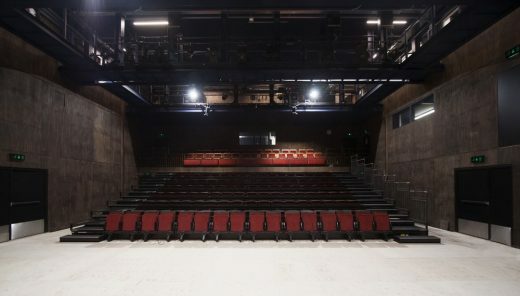 It was rebuilt as a brick building in the 1980s and in 2005 Ian Ritchie Architects designed the temporary 1040 seat Courtyard Theatre adjacent to the brick “TOP”. It was enclosed by folded Corten steel with an internal clear-span steel structure. 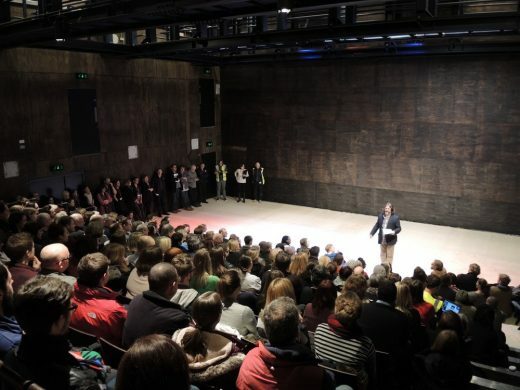 It was the RSC’s main theatre until the transformed RST was reopened in 2011. 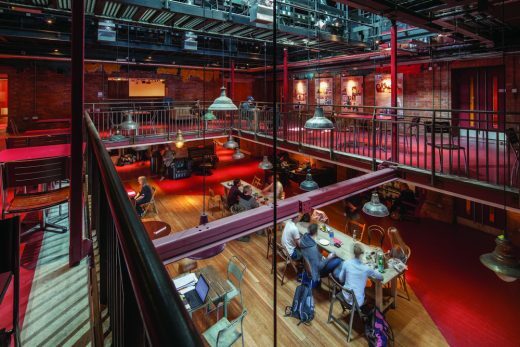 The reuse and adaptation of the 11,300m3 of Courtyard Theatre space was a challenging volumetric exercise. 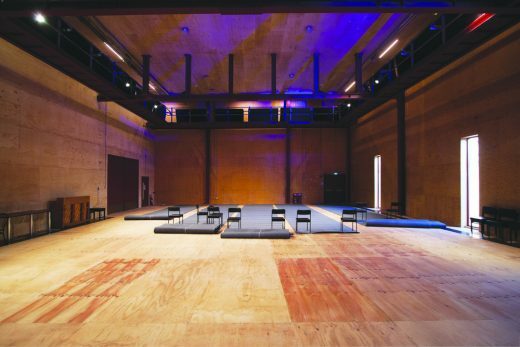 To compose and organise a multitude of spaces, each technically specific, demanded at each stage rigorous analysis of acoustics, public / private routes, fire controls and escapes while seeking a harmony and thrill of a new spatial composition. 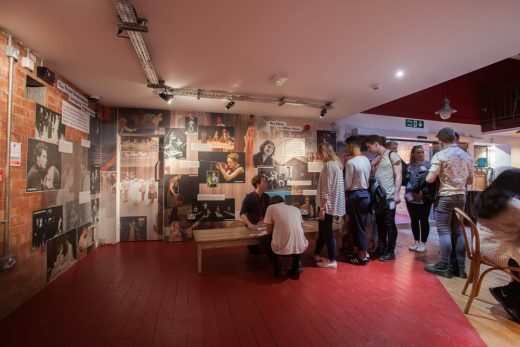 New uses within the now iconic enclosure were introduced over five floors and now house a 200 seat adaptable studio theatre, two rehearsal rooms (theatre, music and TV studio quality), a centralised home across three floors for the RSC’s costume department and costume archives, video department, break-out spaces and ‘get-in’ dock and store. 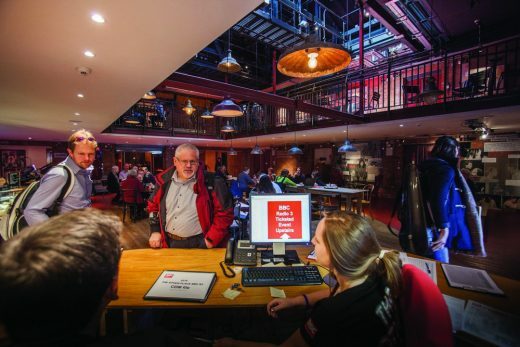 One key design consideration was to open the building up to the public – for performances, for public tours including costume store, and the hosting of community and corporate events. 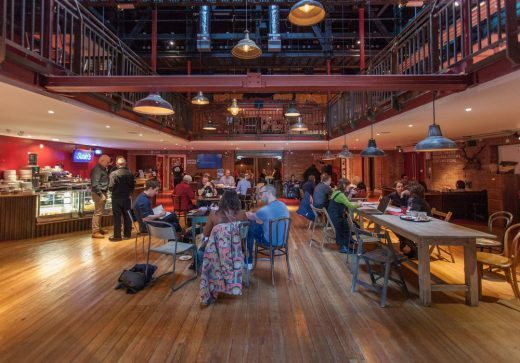 The former ‘The Other Place’ was renovated and adapted over two floors to provide entry / circulation space, box office, café-bar, exhibition, break-out spaces and toilets. 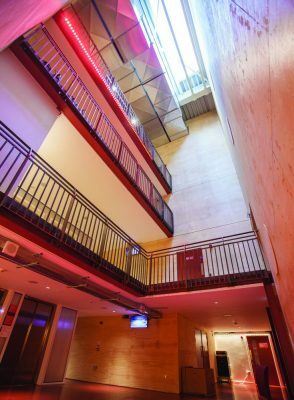 A new naturally lit vertical core within the adapted courtyard steel box includes a translucent polycarbonate lined double lift shaft providing access between ground and upper levels. Rooflights and new windows were cut into the Corten envelope to provide natural light and highlight new dramatic spaces. 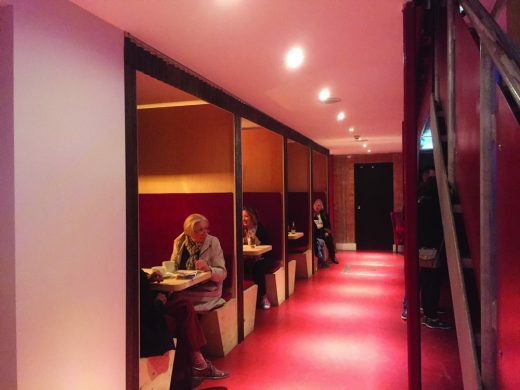 Services are largely exposed, which optimises available headroom, eases maintenance and adaptability, and contributes to the intentionally busy and slightly rough edged “back of house” designed atmosphere of this vibrant collection of theatre spaces. 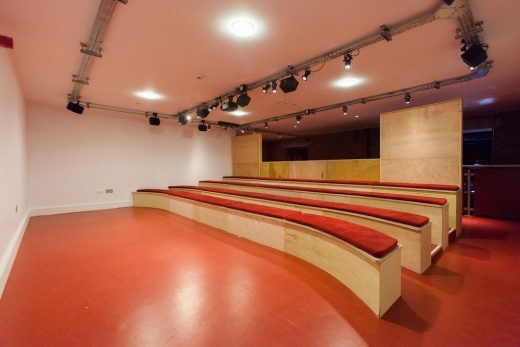 At a construction cost of £7m, it reopened as the new TOP in 2016.